PHOTO: The Zuiderdam will return to Alaska in 2016. Holland America Line prides itself on what it touts as its impeccable service, and on board the MS Zuiderdam, that service is apparently no exception. With a passenger capacity of 1,916 and crew of 817, the ratio is about one crew member for every two passengers. Staff ship-wide are consistently courteous and seem to go out of their way to provide exceptional service. Sailing the high seas since late 2002, the Zuiderdam is an impressive vessel at 936 feet long with a total gross tonnage of 82,305. It has 11 passenger decks, the uppermost only a small observation platform and an extended sports deck with volleyball and basketball courts. Décor is smart elegance – brightly colored and muted hallways and lounges with tastefully placed artworks. Holland America is in step as are many cruise lines with a regimen of updating older ships. The Zuiderdam is in on the list, as it will be in a European dry dock next year to add 30 or so new staterooms. Living up to Holland America’s reputation, the staterooms on the Zuiderdam, no matter what the size, offer elegance and style. Amenities include terry-cloth bathrobes, Euro-top plush mattresses, finely woven cotton linens, massage showerheads, flat-panel televisions and DVD players, Wi-Fi access and nightly turndown service. Rooms have two lower beds convertible to queen-size (king-size in suites), a safe within one of the three separate closet compartments and a small sofa-like chair and side table adding to the living areas. Suites include even more furnishings such as two extra chairs and a minibar area for entertaining. Of the Zuiderdam’s 11 public decks, staterooms occupy six of them: Deck 1 (Main Deck) and Decks 4-8. The ship’s 958 staterooms are grouped into five categories: Interior rooms, 151-233 square feet, 154 rooms total; Oceanview, 174-180 square feet, 165 total; Verandah (Deluxe Verandah Ocean-view), 212-359 square feet, including verandah balcony, 477 total; Signature Suites (Superior Verandah Suites), 372-384 square feet, including verandah, 100 total; and Neptune Suites (Deluxe Verandah Suites), 500-712 square feet with verandah, 60 total. For those wanting even more luxury and space, there are two Pinnacle Suites (Penthouse Verandah Suites) with 1,318 square feet including verandah. Additional suite amenities include a dual-sink vanity, a full-size whirlpool bath, an additional shower stall and floor-to-ceiling windows (although middle-tier Deluxe Veranda Ocean-view rooms also have floor-to-ceiling windows). Neptune and Pinnacle suite guests enjoy such perks as priority boarding, high tea service, invitations to a cocktail party with ship officers, complimentary laundry services, personalized concierge services and access to the exclusive Neptune Lounge. The ship’s main theater at the bow, the Vista Lounge, is a multi-level venue accessible from Decks 1-3. With a capacity of 867, the Vista Lounge features nightly entertainment – comedians, vocalists, dancers, illusionists and variety shows. Recent sailings have also featured Holland America’s own “Dancing with the Stars at Sea” acts. Returning in December 2014 will be world-class musicians from the B.B. King Blues Club, with the Queen’s Lounge transformed to resemble a Memphis club. Most of the public rooms, including the casino, shopping areas, bars and nightspots are on Decks 2 and 3, the Lower Promenade and Promenade Decks respectively. Some of the ship’s eight-plus bars draw more of a crowd than others, including the often-packed Piano Bar with a singing piano-player and the rounded bar in the upper-deck Crow’s Nest during happy hour. Others include the Sports Bar, Ocean’s Bar, Pinnacle Bar specializing in wines, Northern Lights Disco, Explorer’s Lounge featuring a classical music ensemble, and those within the Casino and other lounges. On Deck 2 and opposite the Piano Bar, the casino features more than 130 slot machines and a host of gaming spots, including five blackjack tables, an American roulette table, a dice table and several for poker. On Deck 3, partitions between three meeting rooms can open to create a larger meeting space opposite a small movie theater; signature shops showcase jewelry, perfume, liquor and souvenirs; and art lovers can peruse the ship’s gallery. The Front Desk, Future Cruise Desk and business offices are on Deck 1 by the ship’s elegant central Atrium with a suspended Waterford Crystal Seahorse and spiral stairwell climbing to Deck 3. And on the Observation Deck (Deck 10) next to the Crow’s Nest, the Explorations Café has computers and a library for quieter moments. There’s no shortage of fine dining on the Zuiderdam. The Vista Dining Room at the ship’s stern is on Decks 2 and 3, with the upper level having a fixed menu and requiring reservations, while the Lower Vista Dining Room is for “as you wish” dining. The Pinnacle Grill is an upscale restaurant featuring seafood and steaks, including rack of lamb and chateaubriand. The Canaletto Restaurant, serving classic Italian fare for sharing, sits within a partitioned space adjacent to the 1,100-person main dining room, the Lido Restaurant. For breakfast, lunch and dinner, the Lido is a more casual alternative with chef stations featuring everything from Asian choices, pastas, deli, bistro, salads, desserts and more. The Dive In serves hamburgers and hotdogs opposite the Lido Pool. And there’s always room service, including breakfast for passengers who hang out door-handle menu cards the night before. The Greenhouse Spa & Salon includes a thermal suite and hydro-pool and offers massage, facial therapies and classes in yoga, total body conditioning and indoor cycling. Personal trainers are available as are a licensed acupuncturist and Medi-Spa physician. Spa packages are available with possible discounts on days when the ship is in port. The adjacent fitness center has a wide range of equipment including free weights, treadmills, stationary bikes and rowing, stepping and weight machines. Large windows provide great sea views making the workout well worth the effort. Passengers can swim in two pools, the indoor Lido Pool and the outdoor Sea View Pool, both on the Lido Deck (Deck 9). Each has adjacent hot tubs. The Lido Pool area includes snack bars and ping-pong tables while the outdoor pool, with its lounge chairs, occupies the ship’s stern. During the spring and summer, an Alaska itinerary features the Zuiderdam sailing from Vancouver to southeastern Alaska and back from Saturday to Saturday. The Zuiderdam’s itinerary will change next year as the ship will be heading to dry dock for upgrades. For the remainder of 2014, the ship will be on cruises through the Panama Canal from Vancouver and San Francisco to Fort Lauderdale, Fla., with stops in the Caribbean, which will be the cruise destination in the winter. 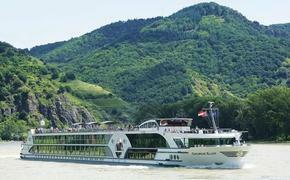 The next stop is Europe for the 2015 spring, summer and fall seasons to cruise the Mediterranean and Adriatic seas, including an initial transatlantic cruise from Fort Lauderdale to Rome. While in Europe, the Zuiderdam will be in dry dock for two weeks to add 30 or so new cabins on the upper deck. The ship returns to the Caribbean for the 2015/2016 winter season and resumes its Vancouver/Alaska itinerary in the spring of 2016. When it comes to onboard activities, there’s something for everyone. Scheduled activities include fitness sessions, culinary classes, digital and photo workshops, movie screenings, art and nature lectures, wine tastings, martini samplings and ping pong tournaments, to name a few. Separate lounge areas for children include Club HAL for kids ages 3-7, with its Game Room for kids ages 8-12, where coordinators arrange youth activities. The Loft is a hangout for 13- to 17-year-olds, allowing them to socialize with other teens on the cruise. 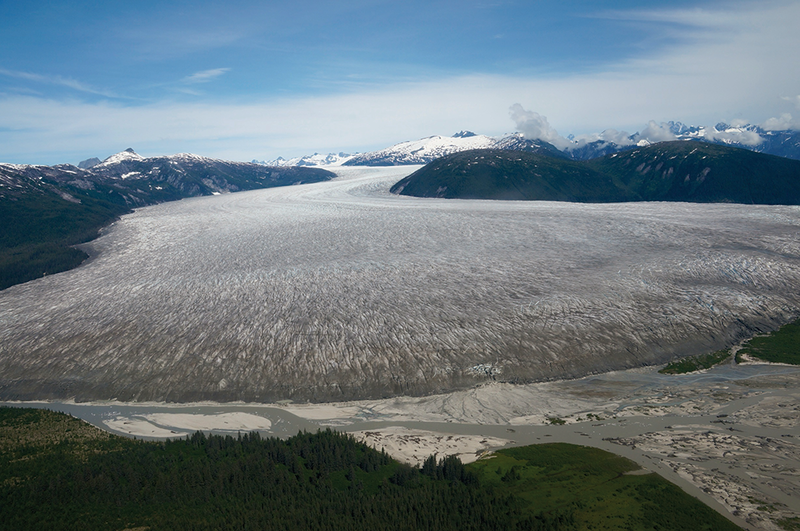 Although expensive (in the $250 to $500 or more range), an important part of any trip to Alaska is a flightseeing excursion for a new perspective on the Last Frontier State’s vast landscapes and glaciers. From Skagway and Juneau, helicopters and floatplanes whisk passengers onto glaciers for hiking and dog sledding, while a Ketchikan floatplane excursion flies above the cliffs and waterfalls of Misty Fjords National Monument. PHOTO: Floatplanes whisk passengers onto glaciers for hiking and dog sledding. 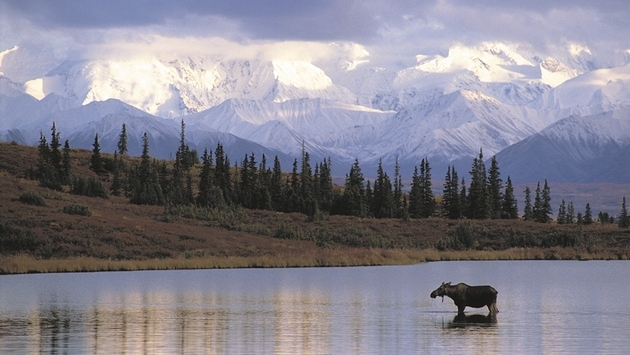 Particularly popular excursions include whale-watching tours from Juneau, and viewing the dramatic scenery along Skagway’s White Pass and Yukon Route Railroad flanking steep mountainsides. Others include zodiac adventures, fishing trips, zip-lining, jeep and canoe excursions, culinary experiences and much more. Holland America’s signature service, emphasis on amenities and touch of elegance are always appreciated by the cruise line’s loyal customers. The Alaska cruises seem to bring out mostly middle-age to slightly older travelers, although there are often multi-generational families traveling together with children spending their time in the pools and kids’ areas. Those looking for very decent entertainment choices should consider a Zuiderdam cruise, as variety and other shows often pack the Vista Lounge. In 2015, Alaska fares for cruises onboard the MS Noordam and MS Volendam (substituting for the Zuiderdam) for five categories of rooms range from beginning and end-of-season rates of $849 per person for an inside room, to $2,349 per person for a Deluxe Verandah Suite. High-season (mid-June through mid-August) rates range from $1,099 to $3,399 for those categories. Fares are based on double occupancy. Additional charges for taxes, fees and port expenses range from $200 to $219 per person.